One of three awesome colors, buy all three together to complete the set! 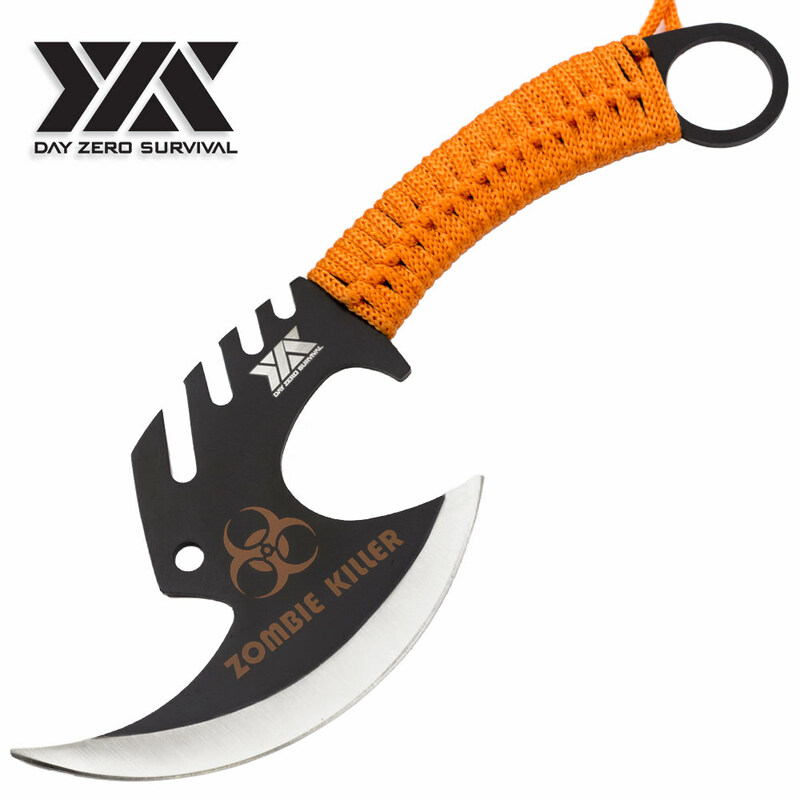 Razor sharp and forged from a solid slab of black coated stainless steel with a heavy sawback design, this wicked throwing axe will always hit the mark from distance when aimed at a fearsome zombie (or one of our great target boards if you prefer). 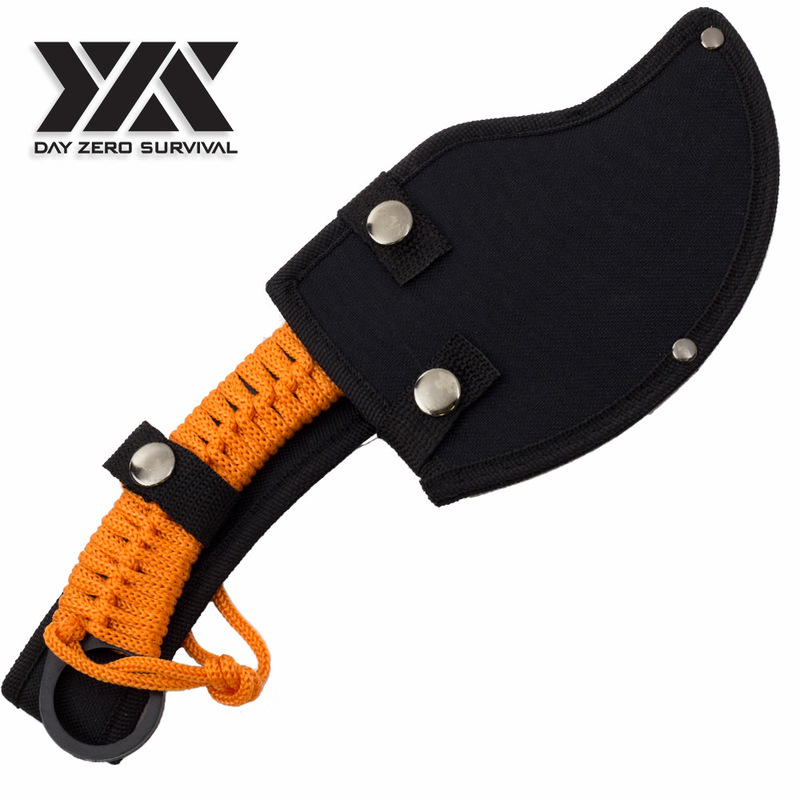 Aside from adding a distinctive dash of vibrant color, the orange nylon- cord wrapped handle provides a strong and secure grip and along with a large finger hole aids in throwing accuracy. 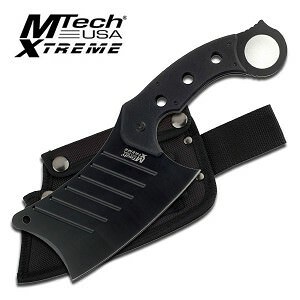 Comes with a FREE nylon snap fastened sheath as well as a carrying loop.